I'm so excited to be the Featured Designer for Jinger Adams today! 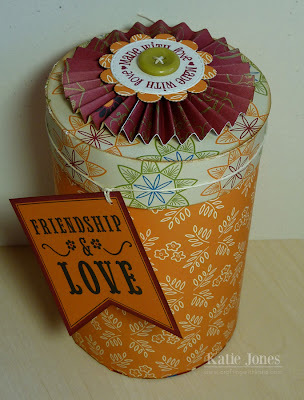 I had a lot of fun making this container using Jinger's beautiful Gypsy Queen Papers. To make the container, I used a Lori Whitlock 3d Box cut from the Silhouette Studio Store, using two of the vibrant patterned papers, one for the base, and another for the lid. 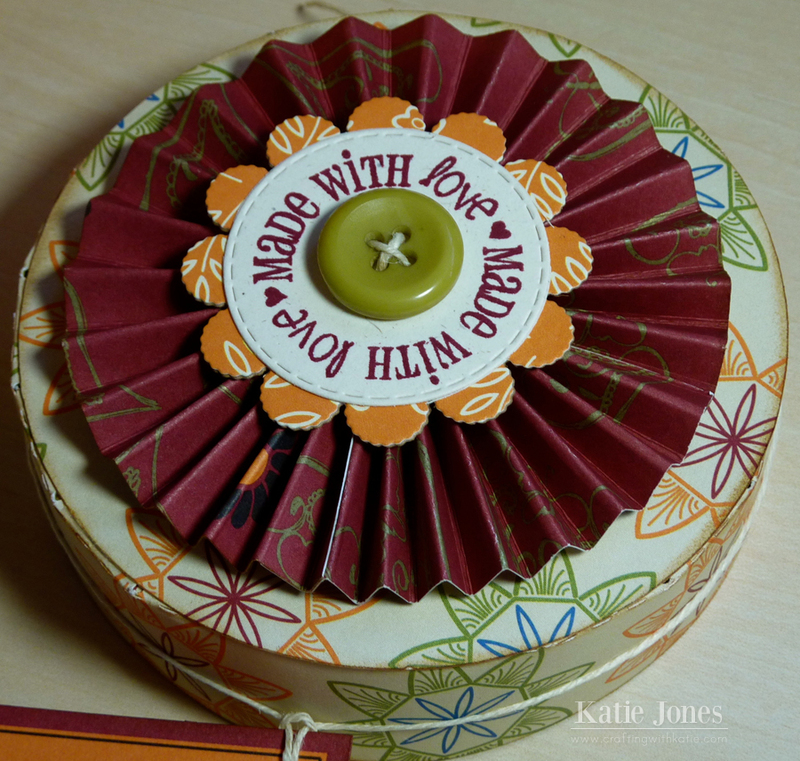 To decorate the lid, I used another patterned paper from Gypsy Queen Papers to make a rosette. On top of that, I created a little sentiment using the My Creative Time All Around Goodies stamp set and Scallop & Stitched Circle Dies. A little button topped it off! Lastly, I took one of the sweet tags that is included in this paper pack and attached it to the container with a bit of hemp. This is the perfect sized container to fill with some homemade cookies and give to a good friend! Be sure to stop by Jinger Adams' blog to see some more projects that the design team has been making with Jinger's two new lines! Katie ~ Well this is such a wonderful gift to give someone!! I LVOE the cannister! The papers and the different patterns go PERFECTLY and BEAUTIFULLY!!! 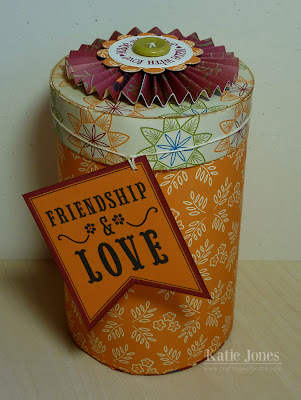 LOVE the dies and stamp you used too! Love it!!! Great job on your container! I like the topper you created with the rosette, scallop circle and button. Some lucky person will get this with some yummy cookies. What a great idea. very nice papers ,love the lid,and tag, would be a nice gift full of yummies!!! I love it!! Her papers are so amazing. Love the rosette. Katie, you're amazing. Lovely project as always. 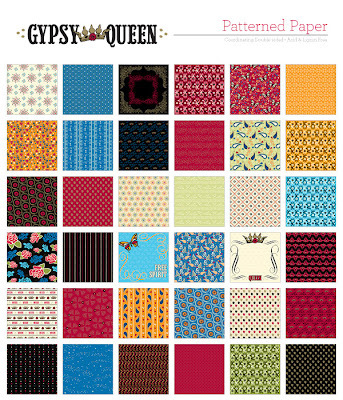 And I can't wait to order Jinger's new paper line, it's simply gorgeous. That is so cute, Katie!!! :) I love the vibrant papers and your pretty rosette!